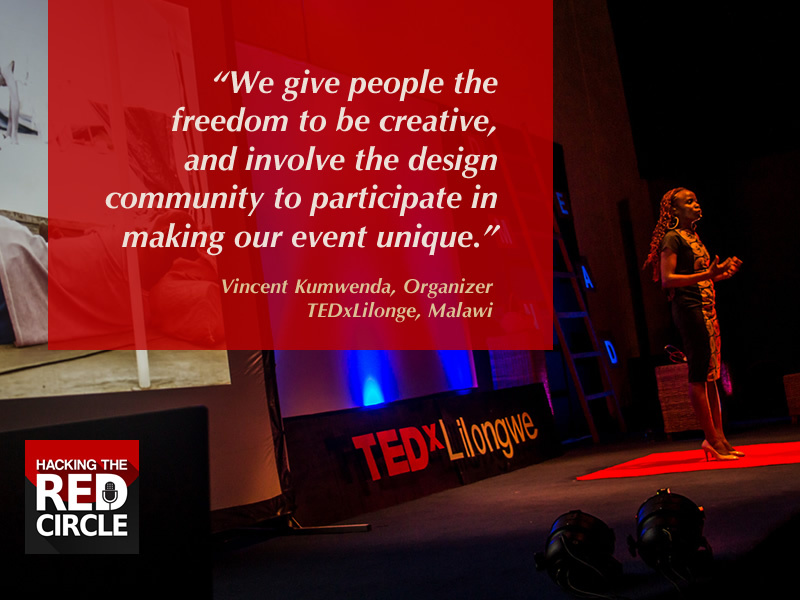 Vincent Kumwenda in the Organizer of TEDxLilongwe, located is the capital of Malawi. Because they are next to the second largest lake in the world, they focus on ideas that address local issues, such as Agriculture, Fishing, and the burgeoning startup economy. An interesting fact that you won't be able to tell from listening is that Vincent called me on his cell phone while the city was in one of their frequent blackouts, and I could only see him from the light of his phone. It was eerie and cool at the same time. TEDxLilongwe does something interesting to reach two goals; develop a unique activation for a partner and deliver ideas to the rural regions of Malawi populated mostly by impoverished people. After his event, Vincent packed up team members and speakers and traveled to small villages over a few days and introduced the villagers to TEDx and big ideas. Malawi is a country of 18 million people and provides a rich source of speakers and topics. Vincent's day job is the Chief Executive Officer of mHub, Malawi's first technology and innovation Hub. mHub is a social enterprise that champions the development of local technology solutions. He manages a team of determined and passionate youths who nurture young innovators and emerging entrepreneurs with technical and business skills to create sustainable business solutions. Vincent is also a 2017 Mandela Washington Fellow, a US Government sponsored Young African Leaders Initiative. Shout out to Randy Bretz, Organizer of TEDxLincoln for introducing us to Vincent. He attended the local TEDx in 2013 and became the organizer in 2016. He first was exposed to TED Talks while he was a student. TEDGlobal2018 in Tanzania had many Malawians in attendance including Vincent. They give people the freedom to be creative and invite designers in Set Designers and Architects to submit ideas for the stage. How the ideas come to life once the speaker steps onto the stage. The TEDx concept is relatively new to Malawi and getting sponsors continues to be a challenge. Also, speakers don’t understand the scope and importance of TED. Be prepared for a lot of hard work and be open to other ideas.